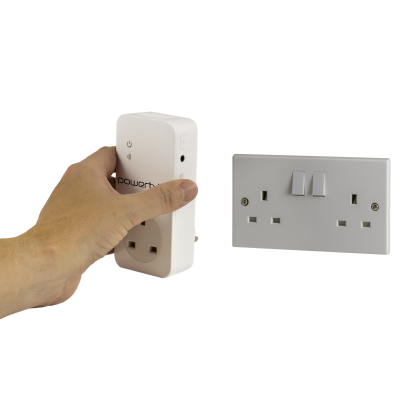 A remote power control switch, the Powertxt Remote Mains Controller enables you to remotely turn off mains power to a socket with a GSM text message. Most technical problems can easily be fixed by turning the device off and back on, but if you're caring for an elderly or vulnerable individual it could be unwise to show them how to do this. So, you need a way to remotely turn off mains power to a device and restore it even when you're not there. The Powertxt Remote Mains Socket Controller acts as a mains controller which can be activated and deactivated remotely, enabling you to control a mains power socket even when you're not there to help ensure that it functions correctly. 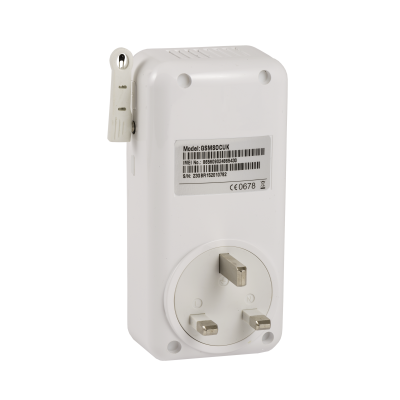 Because the Powertxt is controlled via text messages you can control mains power simply and easily with simple commands. To make it more secure against hackers, there's no WiFi or 3G connectivity, just GSM, which means you can turn power on or off from anywhere you can send a text message. Most technical problems can be solved with a simple hard reboot – cutting power to the device and then restoring it. If something that an elderly person relies on heavily is not functioning properly it can cause them severe problems with their day to day life, so it's vital that it returns back to normal function as soon as possible. 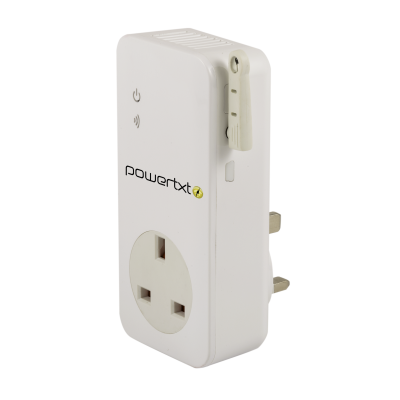 As well as enabling you to turn power off, the Powertxt also alerts you when the power is cut. This gives you an instant notification that someone may need your help. It's important not only for everyday problems a power cut can cause such as frozen food thawing out, but also when it comes to vital equipment such as life machines and critical care equipment. Alongside its power-based functions the Powertxt also features real-time temperature alerts, giving you an instant indication of the temperature in the area. This enables you to ensure that the temperature is not dangerously low or high, and giving you the ability to help them as needed before it's too late.